A Bonnie & Clyde Adventure Benefiting the Clinic! 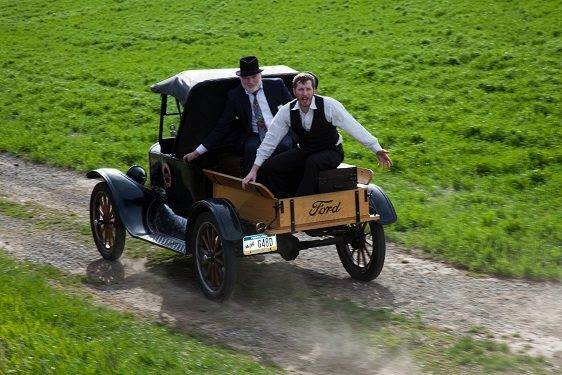 Travel back in time with the Strasburg Railroad to 1934 for an adventurous 45-minute ride on the rails through scenic Amish Country. An A-list celebrity is planning to travel in style at the railroad complete with high fashion, sparkling jewels and bountiful riches. However, there have been alleged sightings of dynamic duo, Bonnie and Clyde, whose exploits have captured the attention of the American public. All real money “donated” to our robbers will go to the Clinic! This interactive ride will rob you poor! Don’t worry though – you can always get some gold trinkets for the family back at the East Strasburg Station after the wild adventure. Bring your camera. Pay attention. The action may happen anywhere! Purchase tickets now through Strasburg Railroad!